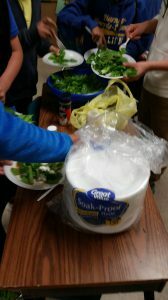 Tuesday BHL students enjoyed salad made from lettuce gathered in the school gardens while watching Back To the Barnyard for one of their final Ag Science classes. Who needs popcorn? 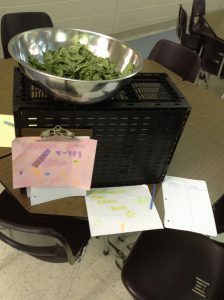 We’re taking baby steps towards healthy choices, and changing routines!